Entering the main lobby of the Olympia Oasis, your gaze is immediately drawn upwards to the high, semi-vaulted wood-panelled and wrought-iron ceiling that sits, like a dome, over the spacious lounges. 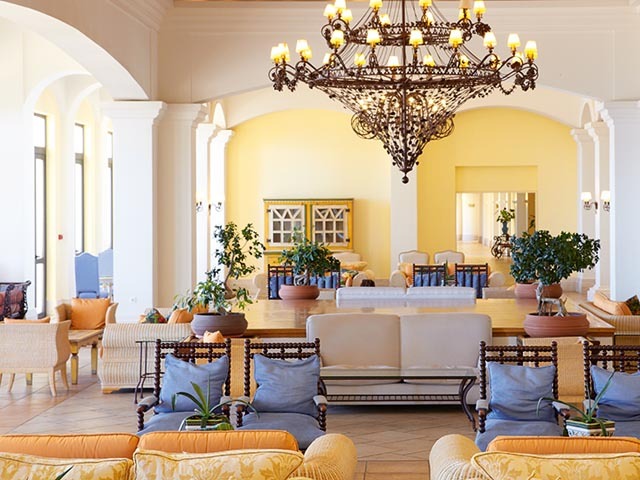 Deep comfortable sofas, carefully positioned along the picture windows, are perfect for gazing out at sea or surveying the beautifully tiered gardens with exotic pools that reach almost to the edge of a sun-swept beach. 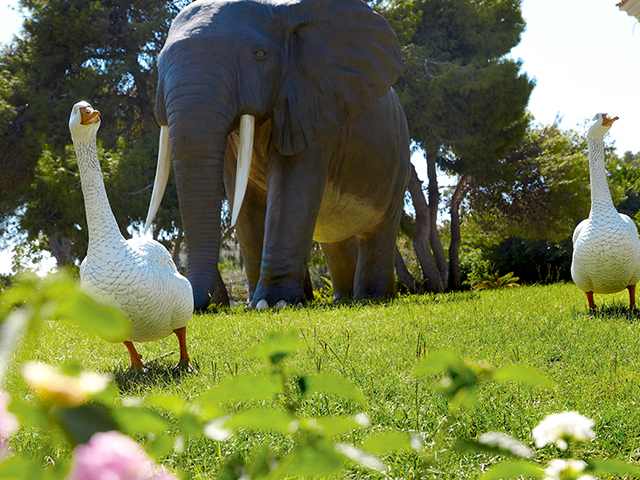 Welcome to the Olympia Oasis, a holiday dreamland for quality family holidays – a Grecotel hallmark. 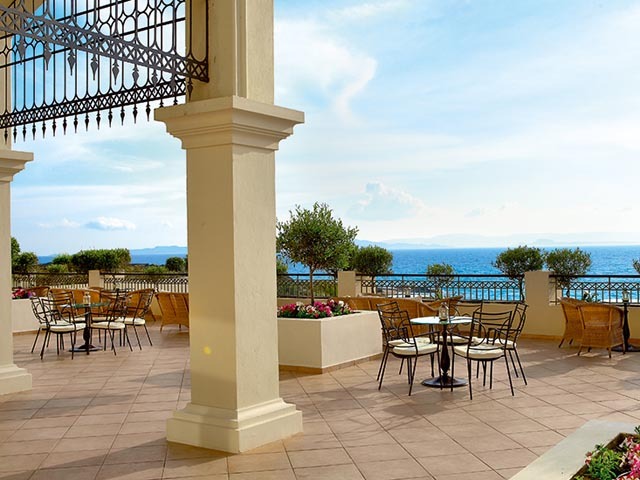 From youngsters to the young-at-heart, from morning to night, from active to passive - the Grecotel offers something to suit everyone: the restaurants & bars, swimming pools, sports or children facilities are waiting for you! 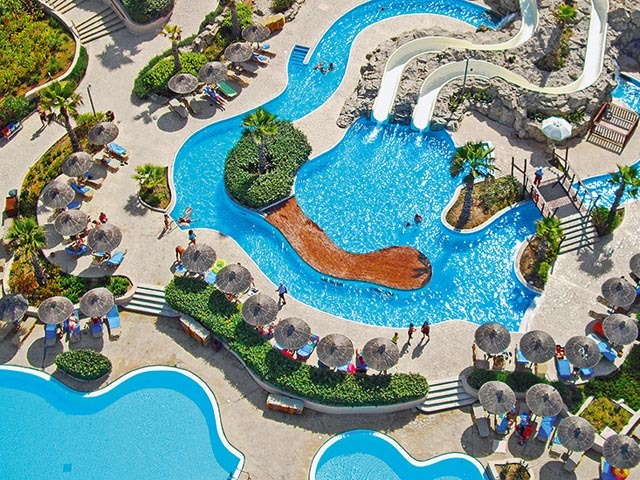 An aqua paradise awaits all ages with a choice of four pools: a large pool by the restaurant; an exotic lagoon; an adventure pool with slides, lazy river, and fun games; and, a children’s pool. Riviera Olympia is the place to go for leisure, pleasure and fun. 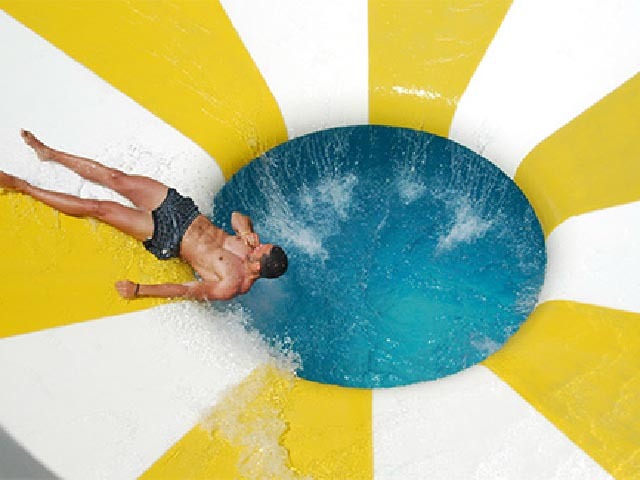 An Exclusive Water Theme Park Adventure: The New Olympia Aqua Park where fun & fantasy rule and a thousand Greek myths are told. 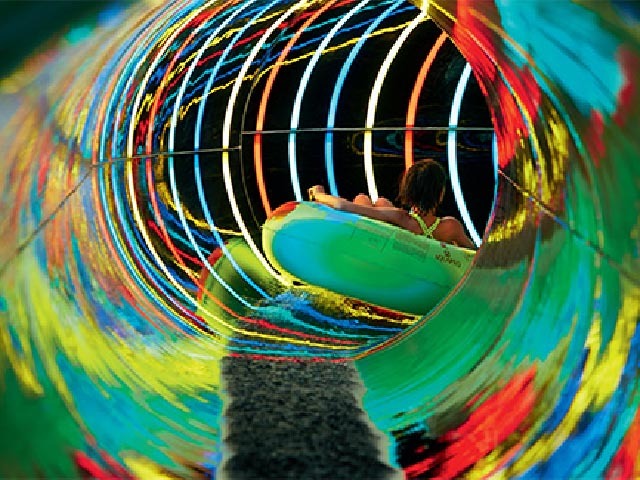 A mega theme park dream come true for the young and brave at heart, of all ages. Hercules and Olympia, the mascots of the Olympia Aqua Park introduce you into their world of Greek gods & heroes. Welcome. Your own Greek myth is waiting to be written. 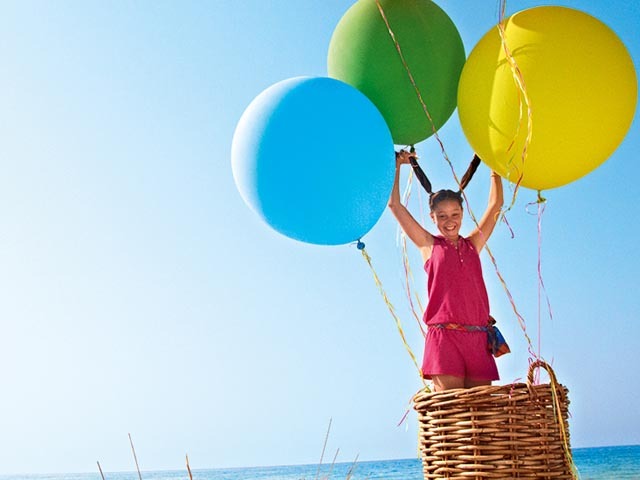 The Grecotel Olympia Oasis is an all-inclusive family hotel. Built with families in mind, it offers a range of free sports and recreational facilities both within the hotel grounds and at the neighbouring Hercules sports centre. An aqua paradise awaits all ages with a choice of four pools: a large pool by the restaurant; an exotic lagoon, an adventure pool with slides, lazy river, and fun games, and, a children’s pool. The entertainment team offers a variety of activities from morning gym, aerobics and games to evening shows and musical nights from the rich tradition of the area. 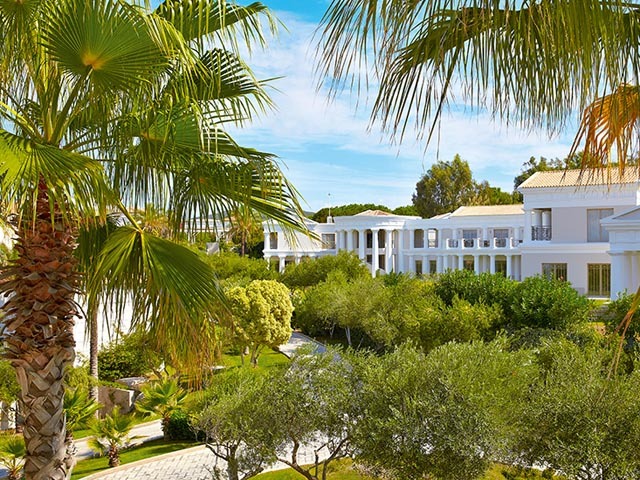 The all-inclusive Grecotel Olympia Oasis is ideal for those who want plenty of activity from morning to night. Most of the activities are free of charge. 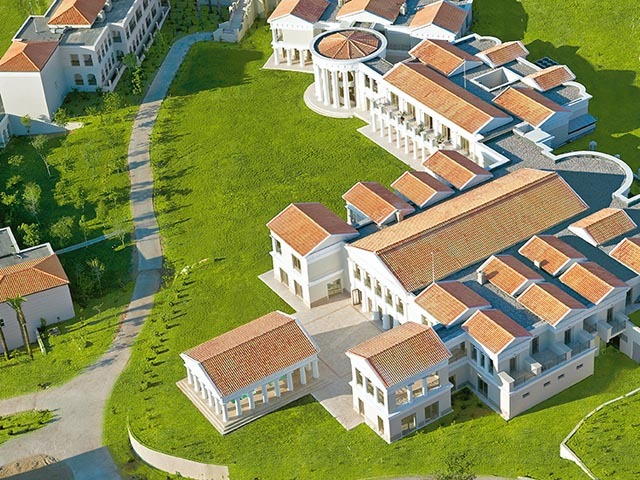 Grecoland, a fairytale resort within a resort, was created with children in mind. Brightly coloured benches and tables, plus shelves overflowing with paints, crayons, toys, and costumes for crafts, plays, and countless other activities guarantee that kids will enjoy their vacation as much as their parents. 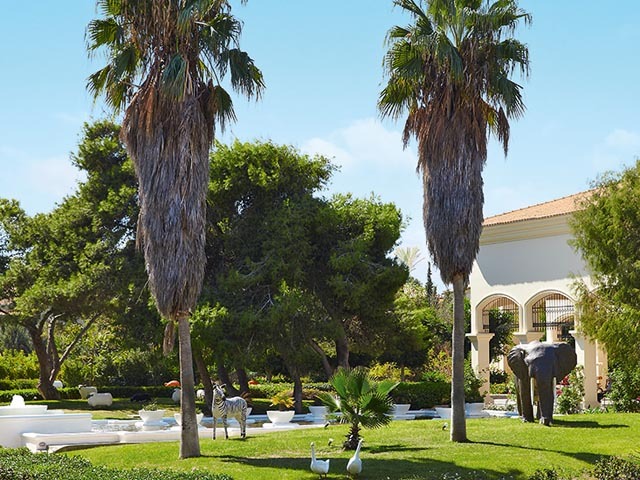 The Olympia Riviera Resort has two Grecoland facilities: near the beach, at the Olympia Oasis, and in a lovely pine grove near the Olympia Riviera Thalasso. The colonial-styled The Seasons offers superior all-day dining. 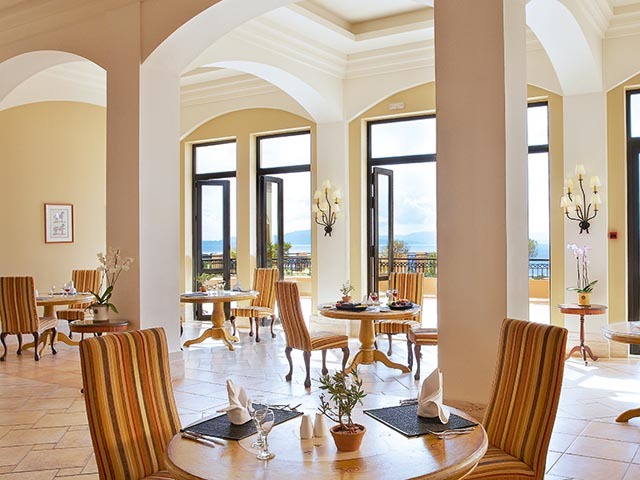 Culinary options range from Mediterranean dishes of delectable quality to a menu of global scale. Start the day with a hearty hot buffet breakfast or pop by the traditional corner for healthier options and local goodies. Lunchtime sees buffets laden with a dazzling selection of soups, main course dishes, and desserts—as well as a colorful array of crisp, farm-fresh salads. An exciting culinary experience for the entire family, The Seasons themed buffets spice up your evenings with a wide selection of hot and cold dishes to satisfy every appetite. The culinary journey starts in Greece and extends to the rest of the world: Mediterranean, Italian, Asian. Sample it all! And because it’s the Ionian, there’s also seafood, of course. The Seasons Restaurant caters for younger guests, with brand new kids’ buffets and early dinners. It serves starters, soup, main courses, salads and desserts. Families will love the special Kid’s Party Night with everything a child’s heart desires: burgers, French fries, hot dogs, pizza, popcorn and more, while a team of clowns, fairies, heroes and face painting artists just love making kids smile. Daytime: Resort Casual. Cover-ups are required for breakfast and lunch. Footwear is required in restaurants & bars at all times. Evening: Smart Casual. No beachwear or shorts in the evening. Gentlemen – long trousers in all restaurants & bars. This elegant, elevated Italian restaurant surveys a view of spectacular scenery. 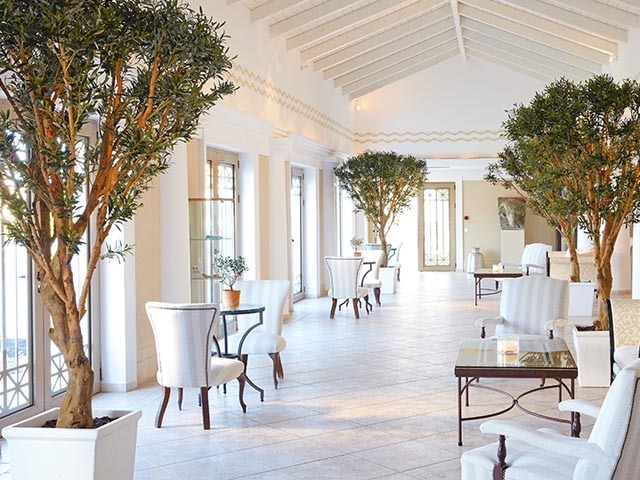 Accessed from the hotel's main lobby, La Strada represents the best of authentic Italian cuisine, prepared with farm-fresh ingredients from the resort’s own organic garden plus service and ambience to match. 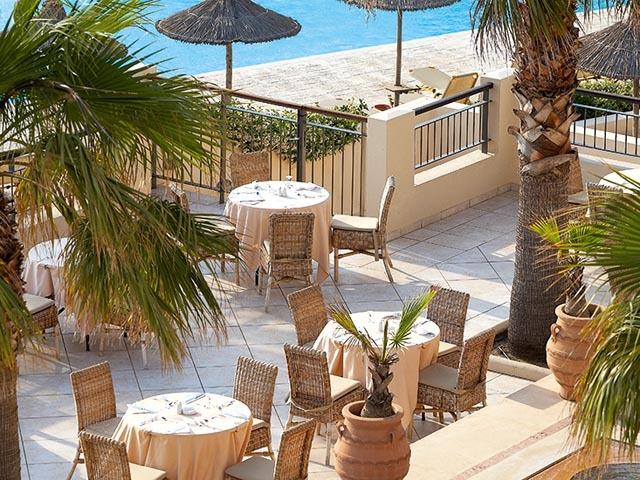 Guests can enjoy an al fresco dinner whilst soaking up the views of the stunning gardens from the terrace, or an intimate evening savouring delicious beef carpaccio, pasta fresca, and ossobuco, ending on the sweet notes of tiramisu and panna cotta. Enjoy selected national wines (at extra charge). 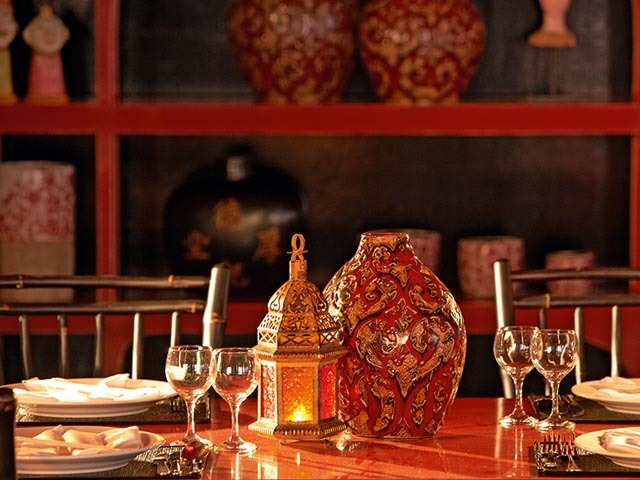 The resort’s Asian-inspired eatery featuring creative Oriental cuisine. Enjoy the delicious flavors of the Far East in the al fresco dining area with impressive decoration and marvelous vistas of the glorious sunset and the Ionian Sea. The spectacular setting enhanced by the sea breeze provides the perfect setting to savour the very best of Asian delicacies from the new a la carte menu. There is no better place to start an evening of food and fun. Enjoy selected national and international wines (at extra charge). Dinner: 19.00-21.30. High Season. Depending on weather conditions. A colourful summer fantasy offering an excellent selection of Greek dishes with Mediterranean overtones. Casual vibrancy spills onto an elevated sea-view terrace for lavish al fresco dining. This Greek taverna experience offers a mouthwatering selection of traditional dishes at an impressive lunch buffet. In the evening, Platanos evolves into a lavish a la carte venue with the unmistakable range of flavors of Greece with a modern twist. Don’t miss the lamb baked in the oven with feta cheese and thyme sauce. Lunch: 12.30-14.30 - Self Service Buffet, Dinner: 19.00-21.30. It’s all Greek to you, in this traditional coffee house. It’s Meze+Ouzo time, Greek coffee and ‘Loukoumi’. What a delight! The highlight of the Olympia Oasis is the amazing gourmet village plaza by the beach with exciting restaurants and pop-up kiosks serving mouthwatering goodies. Don’t miss gyro+pita that complements the Greek summer fascination. Need a pick-me-up after a dip in the water? Treat yourself to a warm crepe filled with a yummy, creamy filling of your choice. Indulge in favourites such as yoghurt, peach, plum, fig, apple or grape. Enjoy gelato, pastries, and fresh fruit. Simply delicious! Take away Snacks & Light Lunch: 11.30-15.30. High Season. Unwind and relax at the Oasis by the beach, where you can soak up the sun at this casual seaside all-day venue. Enjoy scrumptious light fare from a delectable array of delicious sandwiches, tempting snacks, hot dogs, sumptuous salads, French fries, and hamburgers with a twist—all prepared with the freshest ingredients. Nothing says summer like sitting outside on a scorching hot day with an ice-cold beverage. Soak up the atmosphere at the elevated sea view terrace at this lavish, lively all-day venue. Dining, drinking, and dancing set the supper club tone at Oasis by the Beach, where you’ll be twirling more than your twizzle stick in its glass. The open-air terrace this beachfront cocktail bar offers an authentic space for guests to enjoy exotic cocktails during the summer months while an impressive line-up of top DJs spins out the tunes to get your feet tapping as you sip iconic cocktails and exotic drinks. This hospitable venue caters to the most fashionable of partygoers. Whether you choose a main building room or a garden bungalow, sea or garden view, you can be sure that your stay will be memorable. From the lobby, the main building extends in two-storey arcade-style wings that embrace the adventure pool with water slides and lazy river as it winds around the sun terraces. Carefully appointed ground floor and upper level standard and family rooms with sea, garden, or side-sea views, feature floor-to-ceiling windows and all the comforts of a luxurious resort. Double room Main building 30m2 Carefully appointed ground floor and upper level standard rooms in the main buildings feature floor-to-ceiling windows and all the comforts of a luxurious resort. Bungalow Garden room 30m2 Bungalows, with clay-tile roofs the colour of the beach's sand, dot the grounds, offering guests the option of cottage-style accommodation along the beach or in the profuse gardens. Family room Main byilding, 38m2 Family rooms are designed with ample living and sleeping areas that can be reconfigured by normal or sliding doors. Family bungalow Garden areas, 34m2 Family bungalows are designed with 2 spacious living areas, 1 with double bed and the other with 2 sofa beds. 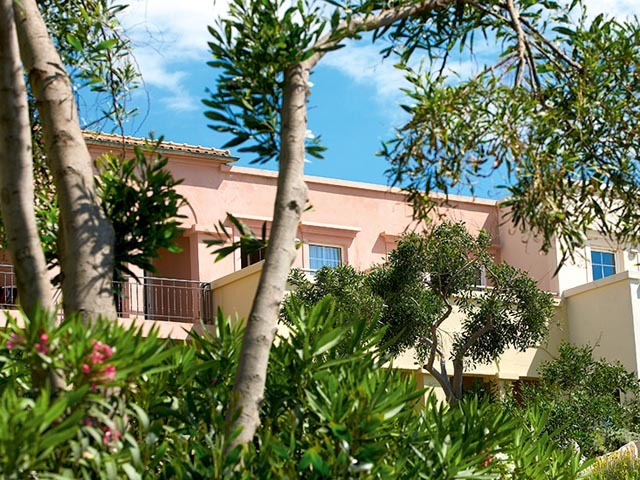 Villa Oasis Direct to sea, indoor 105m2 Two-bedroom self-contained villa inspired by the ancient Olympian architecture. Two sleeping quarters with king-sized beds and two en-suite bathrooms, and Walk-in closets, ensure the comforts of home. The living room area overlooks exotic palms, the magnificent beach and the Ionian Sea. Perched on the golden sandy beach, the villa, decorated with elegant furniture is perfect for outdoor living: a shaded patio with direct access to the beach is the ultimate all-inclusive retreat. It is a great pleasure to welcome you to the unique complex Grecotel Olympia Riviera and the hotel Grecotel Olympia Oasis in beautiful Kyllini, West Peloponnese. The Peloponnese is situated in the south-west part of Greece, it is surrounded in the east by the Aegean Sea and in the west by the Ionian Sea. The Peloponnese constantly impresses all who see it by the variety of its landscape and the richness of its history and culture. The world famous ruins of Epidaurus, Corinth, Mycaene and Olympia are attractions for all visitors to Greece. Contrasting with this, you can also find examples of unusual landscape there, such as miles of sandy beach and wonderful bays. Thus a holiday on the Peloponnese has something for everybody. 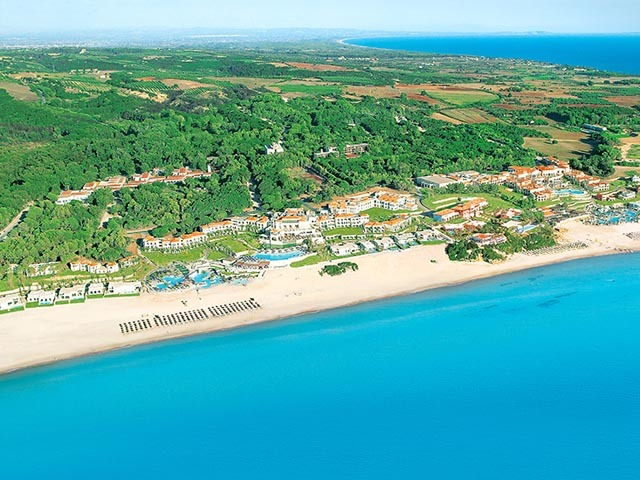 Kyllini lies on the west coast of the Peloponnese. It is just 45 minutes from the airport of Araxos and 100 km from the seaport of Patras. 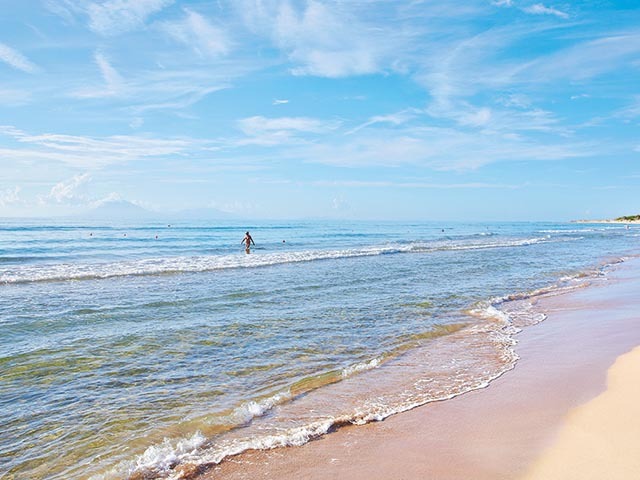 Kyllini has long been known for its thermal spa, traditional farming life, superb beaches and easy access to endless historic sites. Ilia is situated in the western part of the Peloponnese and is famous for its important archaeological findings. In addition, scattered mountain villages each one splendid with unique legends and traditions, are to be found everywhere. With its endless fields and fertile soil, it seems the land has been blessed by some ancient spirit. Every piece of land has been cultivated with vineyards, olive groves and orange trees. 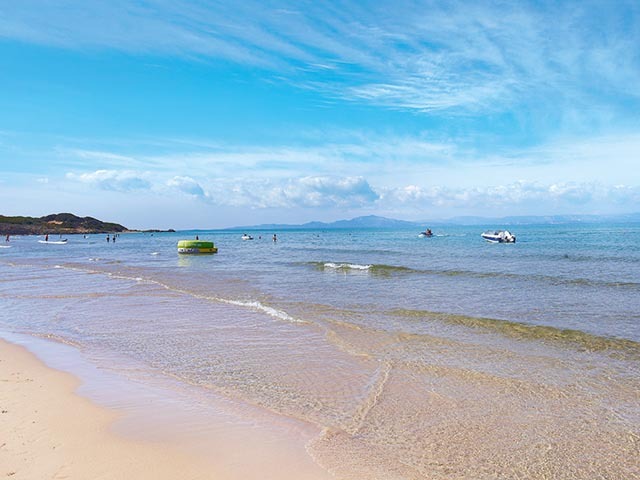 And when it comes to the sea…its coastlines boast kilometres of fine white sand blend with clear, azure waters. Special Offer up to 25% Reduction !! LIMITED TIME !! Special Offer Rates for Greek Market !! Children up to 14 years old FREE of Charge !! The offer is valid for a minimum stay 4 nights !! Special Offer Up To 40% !! LIMITED TIME !! 13.09.19 - 10.10.19 !! Book now and Save up to 40% !! for the stay : 13.09.19 - 10.10.19 !! The offer is valid for bookings received till 07.05.19 !! Children up to 14 yers old Free of Charge !! Easter Offer up to 30 - 65 % Reduction !! LIMITED TIME !! Book now you Easter Holidays and get a reduction 30-65 % !! Children stay Free of Charge !! 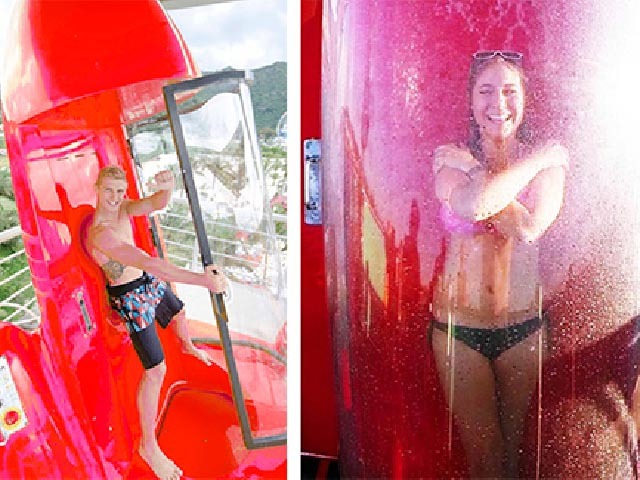 Free Entrance Aqua Park !! The offer is valid for a minimum stay : 3 nights !! Special Offer up to 35% OFF !! LIMITED TIME !! 17.05.19 - 13.06.19 !! Book now and Save up to 35% !! for the stay : 17.05.19 - 13.06.19 !! The offer is valid for bookings received till 07.05.19 !! Children up to 14 yers old Free of Charge !! Book now and Save up to 35% !! for the stay : 18.06.19 - 30.06.19 !! The offer is valid for bookings received till 07.05.19 !! Children up to 14 yers old Free of Charge !! Open: April - October... Entering the main lobby of the Olympia Oasis, your gaze is immediately drawn upwards to the high, semi-vaulted wood-panelled and wrought-iron ceiling that sits, like a dome, over the spacious lounges.